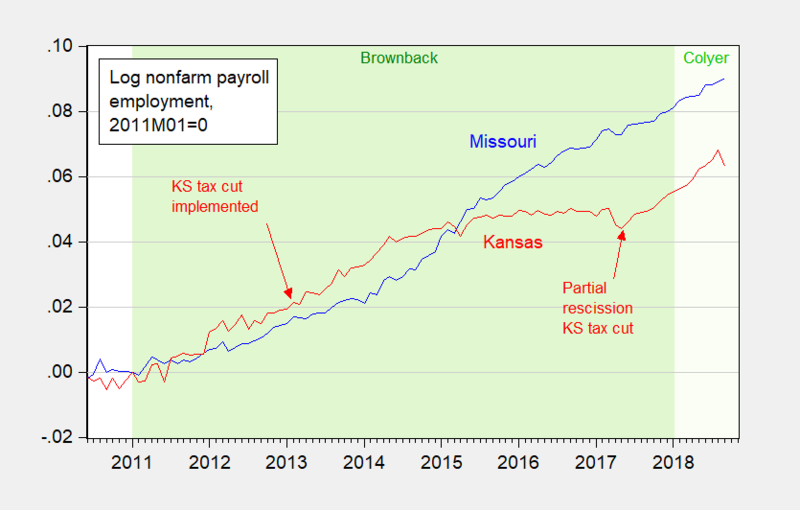 This graph of Kansas employment during the Brownback years is suggestive. Figure 1: Kansas nonfarm payroll employment (dark blue) and civilian employment (pink), in thousands, s.a. Light green shading denotes Brownback administration; very light green shading denotes Colyer administration. 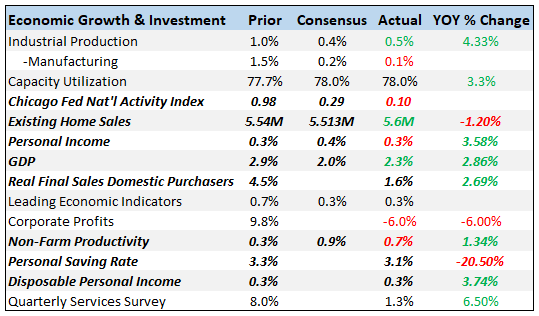 Source: BLS, and author’s calculations. Compare Kansas against her neighbor Missouri to see how far Kansas lagged as a consequence of Brownback’s policies. Figure 2: Missouri nonfarm payroll employment (blue) and Kansas (red), in logs 2011M01=0. Light green shading denotes Brownback administration; very light green shading denotes Colyer administration. Source: BLS, and author’s calculations. Or, it could be just the sheer mendacity, mean-spirited criminality, and quasi-fascism of the candidate. 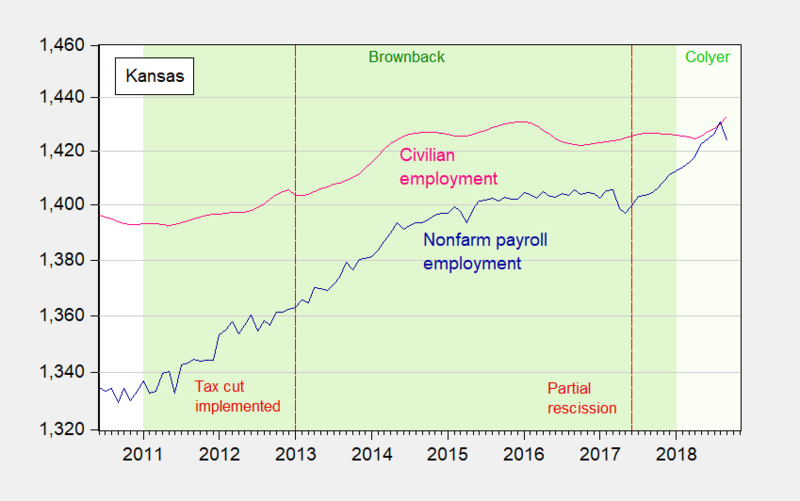 This graph of Kansas employment during the Brownback years is suggestive. Figure 1: Kansas nonfarm payroll employment (dark blue) and civilian employment (pink), in thousands, s.a. Light green shading denotes Brownback administration; very light green shading denotes Colyer administration. Source: BLS, and author’s calculations. Compare Kansas against her neighbor Missouri to see how far Kansas lagged as a consequence of Brownback’s policies. Figure 2: Missouri nonfarm payroll employment (blue) and Kansas (red), in logs 2011M01=0. Light green shading denotes Brownback administration; very light green shading denotes Colyer administration. Source: BLS, and author’s calculations.